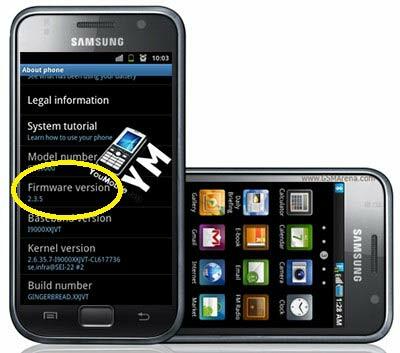 1st generation of Samsung Galaxy S member, I9000 just starting to receive Android 2.3.5 Gingerbread firmware inside UK. But before starts reading the update list I wanna say you that please backup everything inside your phone before proceed. Because the update is said to wipe all your apps and data. The change log includes a batch of bug fixes to the system apps, some performance tweaks and the stock Gingerbread glow when you reach the end of a list. The messaging app got some improvements as well and it should now launch and operate much faster. Battery life of Galaxy S should also see an improvement after the update as Samsung have done some work to optimize the power consumption of the smartphone. But I am sure that a majority of people already installed custom Android 2.3.5 ROM in their Galaxy S before this official release. For those people, Samsung has nothing new at all I think!